Sunday’s bike ride was another classic with no hills to speak of. We rode out to San Dimas to get a bagel at the Bagelry. Along the way, we saw this abandoned couch. It was cool and overcast the whole way, and it never really warmed up. 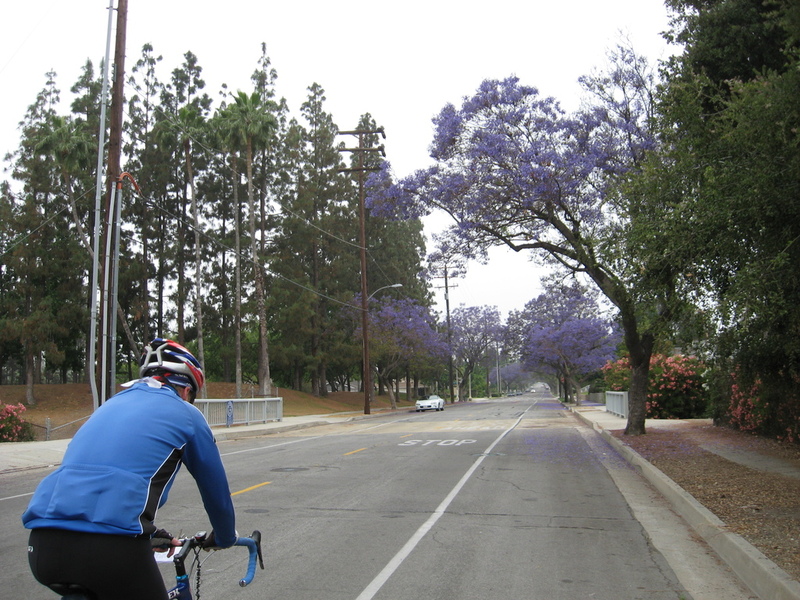 The jacaranda trees are in bloom now, and the purple flowers made a nice contrast with the gray day. Still, it was a nice ride.